A company in Alabama – Fontaine Fifth Wheel – has agreed to recall 6800 tractor trailer hitches, one of which was believed to have failed in a Ohio wreck last year that killed two men. The National Highway Traffic Safety Administration started to investigate the hitches earlier this summer, about 18 months after a 12-ton tractor trailer loaded with produce came loose from its tractor and smashed into oncoming traffic near Cincinnati. Two men driving cars died in the crash on US 50. The company noted in the filing with the NHTSA that the locking mechanism on the hitch can get damaged over time by truckers who fail to follow coupling and maintenance procedures specified in the owner’s manual. The hitches are made to lock a pin from the trailer in a hole and keep it in place while the truck is in motion. However, cumulative damage can make the hitch lock fail or malfunction. The crash happened on a part of Ohio’s US 50 that is known as Devils Backbone. The trailer pulled loose from the hitch and smashed into a Chevrolet Silverado and a Dodge Ram, killing the two drivers, both of whom were fathers with young children. The truck driver was convicted of vehicular manslaughter earlier this year. As product recall and trucking accident attorneys in Virginia, our legal firm has seen the consequences of both negligent truck drivers as well as unsafe products that end up in recall. 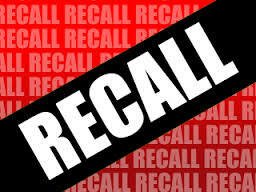 Unfortunately, sometimes, as in the above tragic case, the recall happens after lives already have been lost. Our hope is that more companies will do recalls of their products as soon as there is any indication of a safety problem.